Usually when the temperature dips close to zero, I take it as a good excuse to have a rest or at least do some perfunctory training rides on the rollers. But looking at this weeks long range weather forecast, this would have entailed quite a long lay-off – so it is a case of needs must. I went out on Saturday with a balmy 3 degrees, but by the time I reached Henley my Garmin was saying -0.5. At this kind of temperature, my hands get cold no matter how many layers I wear. There is also the risk of ice on road. 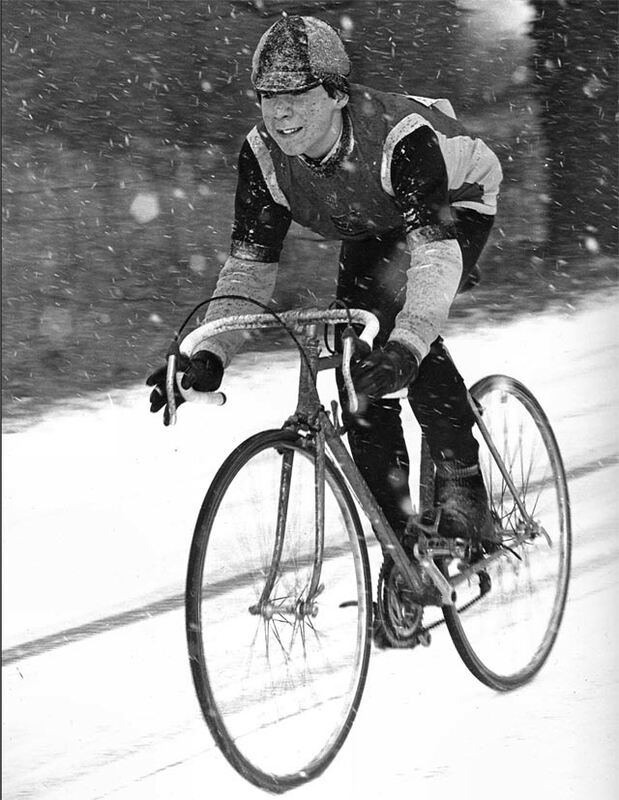 It’s tough cycling in the cold, especially for the skinny hill climbers. 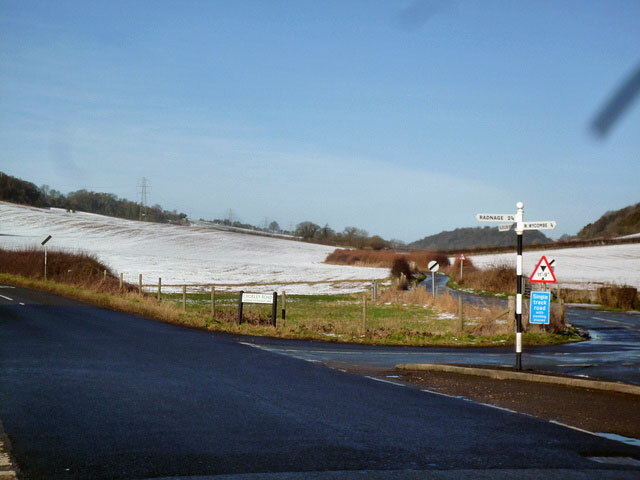 On Sunday I went out again – the temperature was 2-3 degrees, but I still came across some icey patches on a quiet road near Leafield, which could have been dangerous. 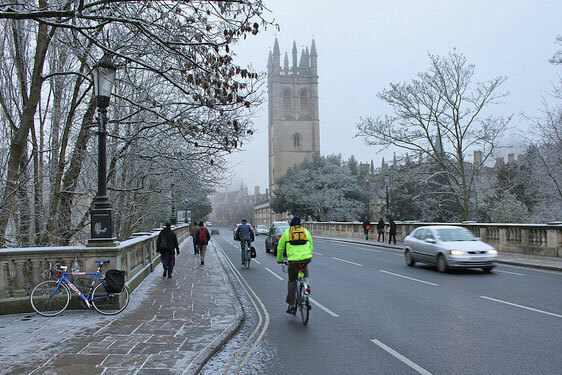 Cycling in very cold weather is very different and it will have a big impact on your body. Hands, feet and extremities more likely to be cold. If you keep your body warm, it will be easier to keep feet warm. It’s harder to cycle. One reason you’re slower when cold is that there is less blood being pumped around your body. With less oxygen you’re bound to be slower. Cold temperature inhibits aquaporins in various places throughout the body, including the brain and kidneys so that less water is taken up by the cells. Therefore kidneys respond to cold by passing urine quicker through the body. (according to first year med student) This is why on a cold day, you’re more likely to be looking for suitable trees to relieve yourself. It’s also a time when the colour of your urine is not a guide to dehydration. Because you’re going to the toilet more often and not absorbing water as quickly, you can be more dehydrated than you imagine. You burn more calories keeping warm. 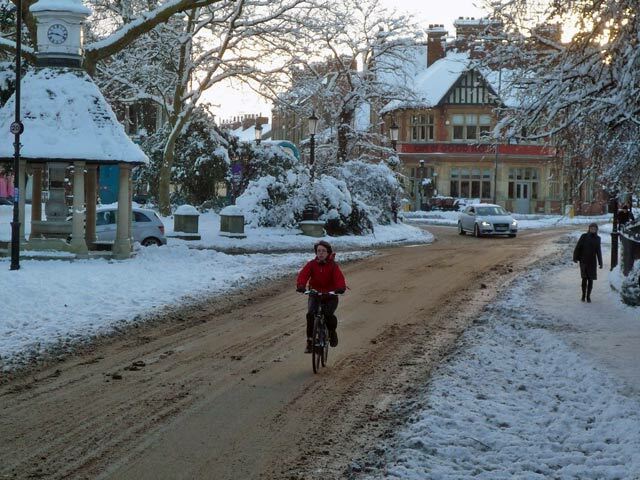 Cold weather cycling is good for those looking to burn calories, more energy is used in keeping warm. It is important to keep eating enough to maintain enough fuel. The last thing you want to do is to ‘bonk’ in the cold weather. Sticking to main roads – A and B roads – bus routes are usually a safe bet. Be careful of unexpected damp / cold patches. When cycling on A roads, you still have to keep your eyes peeled for unexpected blocks of ice, e.g. where someone washed their car the night before. Don’t ride in the gutter where ice is more likely, but keep a good distance into the road. This can be difficult on busy A roads. The problem is that you can become over-confident because you can cycle for 50 miles ice-free but then on some back road you hit the ice, where you least expect it. Yesterday, I had several layers on, including thermal layers, but, was still cold on returning after a three hour ride. Somehow it just seeps into your body after a while. I should invest in a really proper winter jacket, but I prefer to go for several thermal layers – Merino wool makes a good mid-layer. With poor circulation in my extremities, I couldn’t manage without my hot pads. (they create a self-contained heat of about 60 degrees) I’ve been putting a pair in my socks and (when really cold a pair between a glover liner and the bigger ski gloves). In winter I can use them pretty quick, but at 60p a packet I feel it’s money well spent. Ear warmers. A thin hat which covers forehead and ears is essential. I have used a Craft windstopper hat (wiggle link) which is quite warm – great for keeping ears warm too. I used to have a neoprene hat, but that had a tendency to be sweaty. I recommend layers of fleece and merino wool. Be careful of cheaper materials which aren’t fully breathable – they can leave you with a cold sweat, which is the worst. Don’t be reluctant to wear two pairs of shorts or at least some thermal winter shorts. There are some parts of the body, you don’t want to be de-frosting. To keep feet warm, make sure you don’t restrict blood supply by wearing too many tight-fitting pairs of socks in small shoes. Being prepared for a breakdown. For winter rides, the last thing you want to have to do is to stop and mend a puncture. It is a good reason to get best puncture resistant tyres. But, it could still happen. A spare layer is a good idea, hotpads are useful if I had to take gloves off to mend a puncture. Going out at 11am – 12am is probably best time. Usually warmer than after sunrise. In Croatia I was boiling the water for my water bottles. The heat didn’t last too long, but, for the first hour, it was still nice to take a warm drink to help warm up the insides rather than water which is 0 degrees. With all the salt on the road, I used a custom heavy duty winter chain lubricant. It is specially designed to protect components from the corrosive effect of salt. Overall, when cold, you do go slower. Another factor could be the higher air density at lower temperatures. Lowering the temperature by 20 degrees increases the air density by about 7% (assuming same pressure). And drag is directly proportional to air density.